Do you like ketchup on your cornflakes? What about ice cubes in your bed? Flip, flop and scramble through the split pages of this novelty book to create all kinds of weird and wonderful food concoctions. Some things go together. Some things – yuck – just don’t! But can you work out which are which? 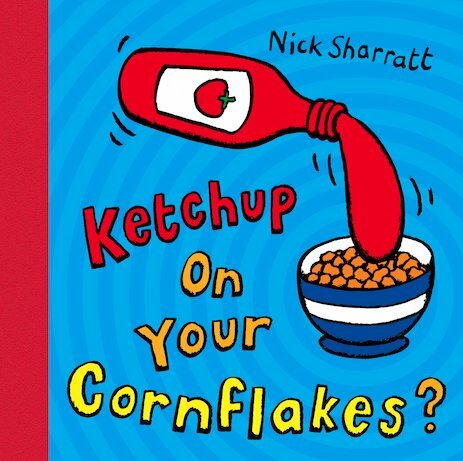 This deliciously comical interactive book from the brilliant Nick Sharratt is a hilarious way to explore combinations – and have loads of fun creating your own, sensible or otherwise! Whether you’re a child or a great big grown-up, you’ll have endless hours of fun with this! a fun book but some of the combinations are yuck!